Welcome to the new tutorial on Android-x86 by Techposts. We were eagerly waiting for the Marshmallow update and it’s available now for installation on PC. 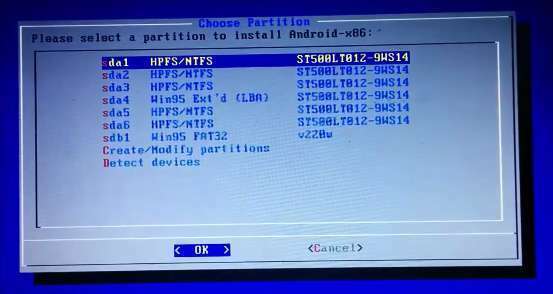 As usual you’ll be able to install Android-x86 6.0 Marshmallow with Windows or Linux OS and create dual or triple-boot machine. In our previous tutorials we covered installation of various versions of Android on PC and now This is a tutorial about installation of Android Marshmallow which is the latest version of Android launched till date, on your Netbook or Laptop, Computer along with your Linux, Windows 7, 8 or Windows 10 OS. So if you want to play with Google’s mobile operating system or want to give a new life to your old laptop or discarded device, Android-x86 gives everyone a way to install Android OS on Intel netbooks or Laptops. This Android OS 6.0 Marshmallow can be installed on both machines running on a x86 and x64-bit processor. Before you proceed ahead with all of your excitement to test Android-x86’s latest release, we would like to remind you that Techposts.org will not be held responsible for any damage to system during or after Android-x86 software installation. Users are advised to proceed at their own risk. Your Netbook, Laptop or PC could end up becoming your Android device with Windows 7, 8 or 10 (MultiBoot). It’s not terribly complicated to install, especially if you’ve installed some form of Linux in the past or any previous version of Android-x86. Let’s walk through the process, then briefly explore Android on the netbook. The latest update of Androidx86 also brought some new features. It’s much faster and offers better stabilityIf you are one of those who were complaining about their WiFi was not working, i recommend them to try this latest update and install it on their PC or Laptop to test if the WiFi issue still exists. To get started, head to the Androidx86 project page. You’ll find the download here, but make sure you download the correct latest version. It’s available for both 32-bit and 64-bit machines, so Desktop users can also install on their PC. Please Note: 32-bit file size is smaller than 64-bit file, please follow the link given above. 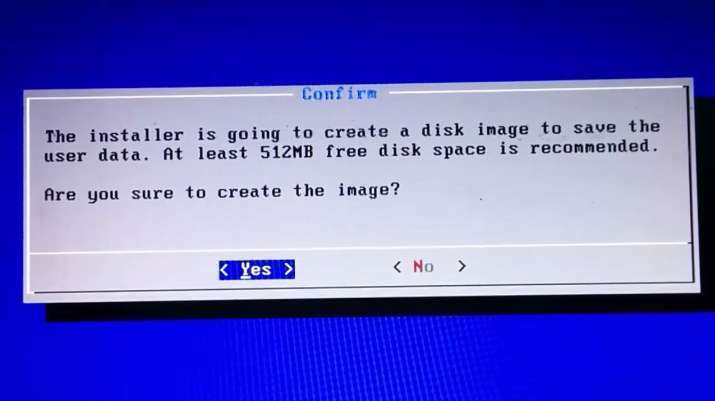 Now that you found the ISO file you need, it’s time to write it to a USB drive so you can boot from it. There are two main programs for doing this: UNetBootIn, which is cross platform, and Linux Live, which is only for Windows but very straightforward. You can also use Rufus tool for creating Android-x86 bootable USB drive. Use whichever you prefer, just copy the contents of the ISO to a flash drive. It doesn’t need to be huge: 1 GB should do it. By using Rufus Tool, Make a bootable USB flash drive using the ISO image file that you downloaded. Select Android from the Drop Down menu, Then Browse the Android x86 6.0 Marshmallow ISO file and then select the USB Thumb Drive and Hit Create Button. If you just want to try out Android, go ahead and select the LiveCD mode. You won’t be able to save any customizing you do, of course, but it’s a good way to see how well Android works on your system. If you’d rather get straight to installing Android, go ahead and pick the “Install” option. This video shows the installation of Android 5.0.2, and the installation of Android 6.0 Marshmallow is exactly the same way, so follow the tutorial carefully. Voilah! You’re done. Congratulations!! You have successfully installed Android 5.1 Lollipop on Your Desktop PC/Laptop. Enjoy this latest update. Now that You have installed the Android 4.4 KitKat Os Successfully, you can enjoy all android apps and games on your System. Many Google staples are included, along with a number of other utilities and games. The best part: AndroidX86 now comes with access to the Android Market. Not everything will work, but I got my favorites apps working: Dropbox, Evernote, Wunderlist and Toggl. You can even connect your PS3 controller to play Playstation Portable games on your Android PC. With some help from Google Voice I even got SMS messaging up and running! You can also install and enjoy Whatsapp Messenger, We Chat and other Apps with ease. If you have any questions or feedback, please use comment box below. If you face any problem during Installation, please contact us, and we’ll do our best to solve your queries. Don’t forget to share this article with your family and friends. Also Subscribe to us to stay updated on Androidx86 and for more such How to Tech Guides on Android, iOS, Windows, Mac and Linux below or Connect with us to stay updated for more via Facebook, Google+ and Twitter. How to Know What Google Knows about You?